Getting a new car windshield replacement service for your car is not the worst thing that can happen to you. Living in Southern California, this type of stuff happens, especially when you’re driving 10,000 to 15,000 miles per year. The expert staff at Mobile SGV Auto Glass understand the emotional toll that not having one’s vehicle available for use can have on both an individual or a family, and are here to help get your automobile back up and running as soon as possible with our mobile windshield replacement service. This is why we make the process so seamless! We come to you. We service your car glass windshield on your time. We work for you and we take pride in offering our clients the best possible service. By using our 10 years of automotive windshield replacement experience, we are assisting customers in Pasadena California with their most pressing car glass problems. Before you pay one cent to replacing your windshield, our staff will confirm that we have your exact windshield for your vehicle in stock. We are the premier auto window tinting company in Pasadena. 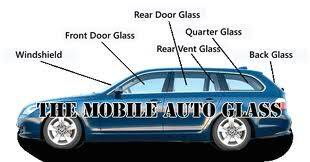 The most important aspect in dealing with mobile windshield repair is of course safety. It is our company’s number one concern when dispatching our experienced car windshield repair team to your vehicle. If you are stuck in a location that is not safe to replace the glass, we will help you get the vehicle moved to a better location to do the work and our technicians will make sure that 100% of the glass is cleaned up after fixing your vehicle. Let the professionals handle it and keep you in the safe zone. Our service staff have more than 12 years of experience working with the full range of auto glass issues that residents of Southern California run into, and we will rapidly get your auto windows repaired so that you can get your vehicle back on the road as quickly as possible. In the event that you require assistance, please give our friendly service team a call today. We will always go out of our way to answer any of your questions, and we are here to serve you. Please give our friendly staff a call today, and we will take good care of you.